As some road noise is normal when driving your car a distinctive whirring sound is not. This sound is trying to tell you a problem is occurring which will get worse if not addressed and corrected. Fortunately there are only a handful of things that can cause whirring sounds in most cases which may increase or decrease with the speed of the car. The first thing in determining how to fix the problem is to find out where the noise is coming from and what conditions effect the noise such as; Is the car hot or cold? Are you driving at higher speeds or turning a corner? This will narrow the problem down and help us get the repair done. Costs on the repair will all depend on the problem. 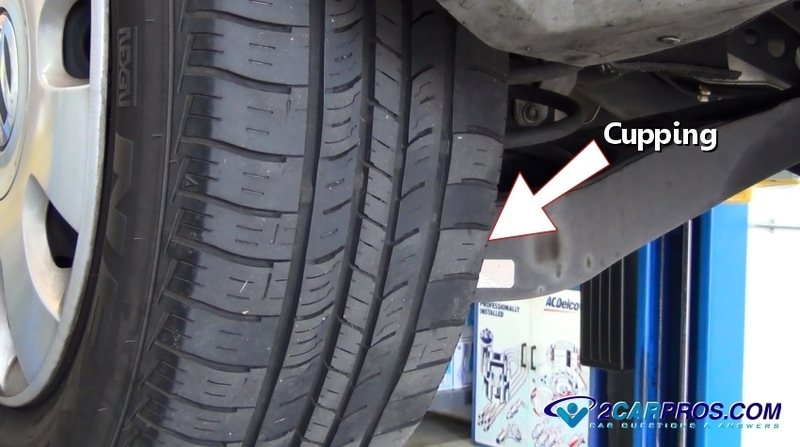 If the problem is a simple tire rotation then a local garage can do the job for between $28.00 and $42.00 (US) and some will even do the job for free with the intend to check your brakes and possibly get an additional repair out of it. In other cases like an axle bearing hub replacement the cost will run about $280.00 for parts and labor. When a tire becomes scalloped the tread pattern is uneven which at speeds over 40 MPH can cause a whirring sensation in either the front or the rear of the car. To check for this problem pass your hand over the tire's tread, it should be relatively smooth. If extreme high and low points exist in the tread the tire is cupped and needs to be rotated from front to back or replaced depending on severity. Causes for this tire problem include bad alignment, tires out of balance, shocks need replacement or struts that need replacement. The axle bearing or bearing hub is responsible for smooth rotation of each wheel on the car. When these bearings fail the metal from the roller will get caught within a race of the bearing and create a whirring noise that generally shows up over 50 MPH and may vary while turning the car. Again you must figure out which end of the car the noise is coming from, the front or the rear. A quick way of checking for a failed axle bearing is to safely suspend the vehicle so there is no weight on the suspected bearing. Grab a hold of the tire with both hands and shake it back and forth (top to bottom). If the wheel seems loose the bearing needs to be replaced. If the problem is in the front then a wheel bearing hub needs replacement. 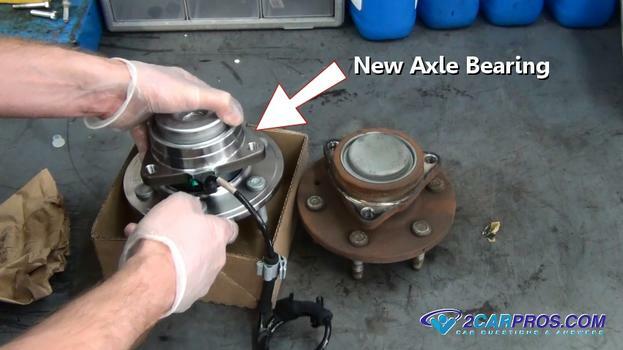 Older cars will have wheel bearings. If the noise is coming from the rear of the car the rear axle bearing needs replacement. Power steering fluid is used inside the steering system to help steer the front wheels. When this fluid becomes low or when it needs to be flushed it will create a whirring noise while the engine is running. For this problem it doesn't matter how fast the car is being driving because the pump pressure is maintained by using a pressure regulator inside the pump housing. This whirring noise will change as the steering wheel is moved in either direction. 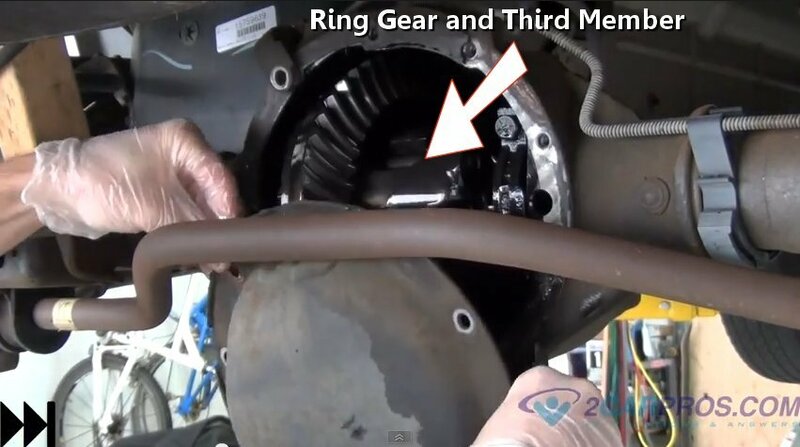 To check this problem remove the steering pump fluid reservoir lid and inspect the fluid level and color. If the level is low then add fluid to the full line and check the system for leaks. If the fluid is full but it looks and smells burnt then a power steering fluid flush is needed. When a power steering pump fails it can do so by allowing air to enter the fluid when the engine is running. This air causes a whirring sound which is present when the fluid is full and when the fluid is in good shape. To check for this condition start the engine and allow it to run for 10 minutes. Then remove the reservoir cap and using a flashlight check to see if the fluid has small air bubbles in it signaling the steering pump has gone bad and needs replacement. If a whirring noise is coming from the center of the car and it has an automatic transmission then you could have a filter that is plugged. The noise may change with engine speed and have nothing to do with the car moving or not. When the filter plugs up the transmission pump scavenges fluid causing the whirring noise. This problem can be fixed by changing the transmission filter. When the rear or front differential oil level is low whirring sounds can be generated as the metal of the differential is lacking lubricate. To check for this problem jack the car up using jack stands and check the fluid level. If the fluid level and axle bearings are okay then the gear set could have worn out which will be indicated by metal shavings in the oil. This problem typically happens on high mileage cars and trucks and can only be fixed by replacing the ring and pinion gear. If you have any whirring noise questions please visit our forum. If you need car repair advice, please ask our community of mechanics is happy to help you and it is always 100% free.